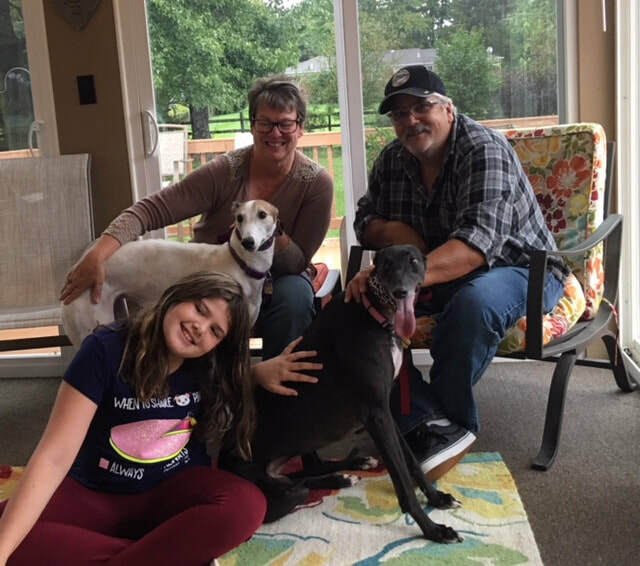 Goose was looking for a new home and found a greyt one in Delhi with granddaughter Taylor, Deb and Tim who recently adopted Tinsley in July of this year. Like so many of us, you can't have just one!! Goose will be loved and will be a greyt friend with Tinsley. This family also has a cat and a Jack Russel named Simon who adores Tinsley. Goose will love their huge back yard to run and play in together.